The West garden has received quite a bit of attention over the last 18 months with particular focus to it’s plants. Chris Wilson [gardener] has spent many hours over a hot laptop researching and sourcing peat free specimens to fill the gaps in the herbaceous border plan. This year we have high hopes for a fuller and more complete display for you our visitors to enjoy during the summer [when it finally arrives!]. The square lavender border with it’s sundial pedestal has been in need of attention for sometime, the lavender plants having become quite woody and tired due to their age. 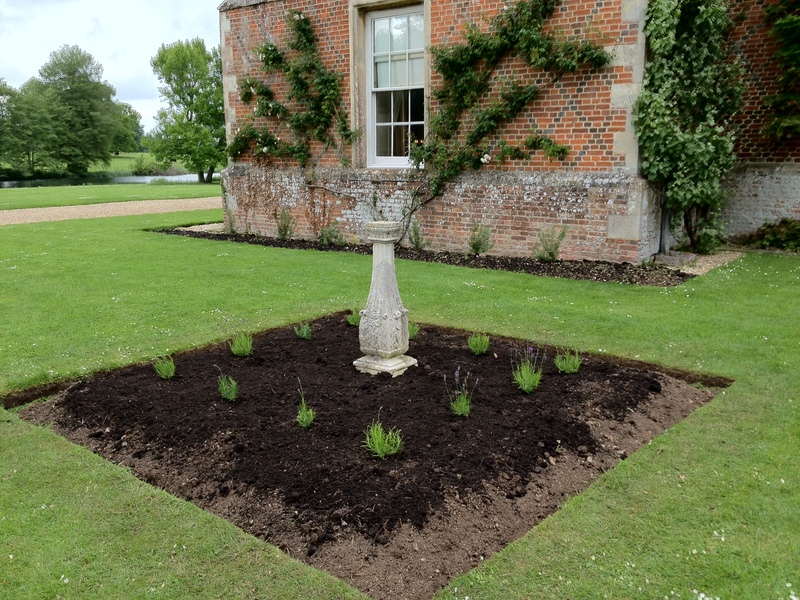 The whole border has now been cleared, cultivated and recut to receive twelve new lavenders. These we hope will quickly establish over the course of the season to provide a splendid display for next year. 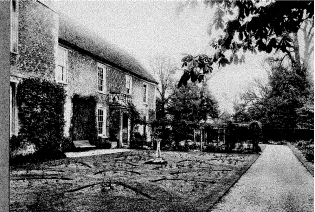 The black and white photo below which dates back the early 20th century shows how much the West garden has changed, particularly in regards to the lawn and beds framing the sundial pedestal.